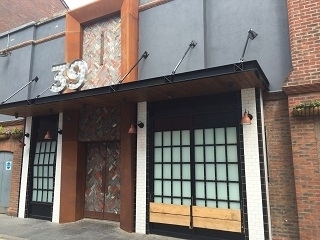 39 Gordon Street brings liquor and fervor to Belfast's bustling Cathedral Quarter night industry. Have you got Google Earth on your computer? If so, then download the Google Earth view of 39 Gordon Street. Is this the wrong position for 39 Gordon Street? If you think so, then modify its position. Click / Tap the button above to get directions from where you are to 39 Gordon Street.